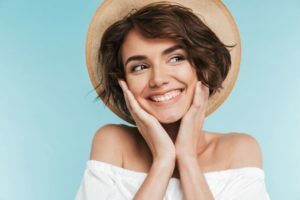 One question people ask about porcelain veneers in Oklahoma City is whether the smile restoration will stain. The answer is “no.” That’s because, unlike natural teeth, porcelain veneers have no pores. This doesn’t mean that you can neglect regular care, however. 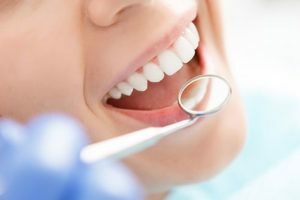 It still important to follow your dentist’s recommendations for taking care of your new veneers. Looking for a smile makeover in Oklahoma City? Your options include veneers, ceramic crowns, cosmetic bonding, and prescription whitening. Each can restore the natural beauty that time or circumstances have taken away. There’s no better time to think about this topic than right now, when 2019 is just getting underway. 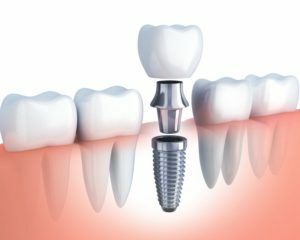 Dental implants offer so many benefits for patients because they closely mimic your natural tooth. You will enjoy eating your favorite foods again with ease and no one will ever know you were missing a tooth because your implant blends flawlessly with your smile. Implants can also offer excellent longevity as they can potentially last for a lifetime with the right care. Here’s what you should know about making the most of your dental implants in Oklahoma City. 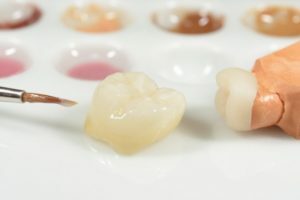 When it comes to protecting your natural teeth, dental crowns in Oklahoma City get the job done. They’re durable and blend in well with your existing smile. 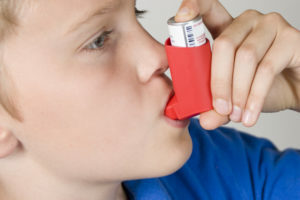 While they can last for many years before needing replacement, sometimes a sudden accident like a bad fall or chewing mishap can make it come off prematurely. 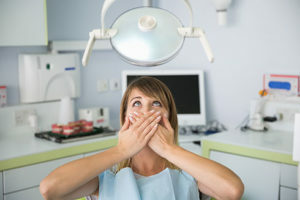 In the event that your crown cracks, breaks, or falls out suddenly, here’s what you should do next according to your dentist. 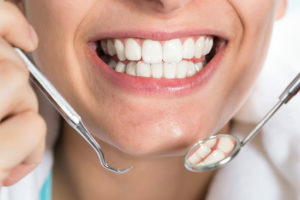 What do you do if your dentist does the opposite of what you asked for with your smile makeover? One of the things he and I discussed ahead of time is that I wanted a really white smile. Yet, when my Lumineers came back, it turns out he put a stain on them. I didn’t realize that until he’d already bonded them on because I didn’t get to see them. When I asked him why, he said it was so they would look natural. When I reminded him that I wanted a very white smile he told me that I had to trust as the dentist he knew what he was doing. I’m just not happy with this and I paid quite a bit of money to get the “smile of my dreams”. What do I do? I had to go to an emergency dentist because of a pimple on my gums that was causing me massive pain. The emergency dentist did a root canal treatment and gave me a crown. I was still in quite a bit of pain. Now, a few weeks later, I realize the tooth next to it is gray. He killed my tooth. What do I do? Should he treat it for free? 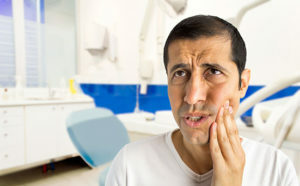 Why Do I Get a Toothache If I Brush and Floss? I brush twice every day and floss every night. I’m not a huge fan of the dentist so don’t really go, but I never thought it necessary because of my good habits. However, lately, I’ve been getting a toothache. Why would that happen if I do everything I’m supposed to? 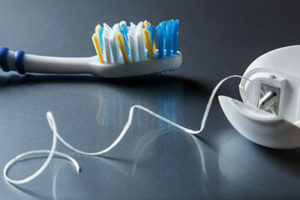 Comments Off on Why Do I Get a Toothache If I Brush and Floss? My son had always been okay at the dentist until our last appointment. I’m not quite sure what happened. The only thing different is he was told he had a cavity and would need a filling. He went nuts and started bawling. He’s never even had a cavity before so I don’t know what he’s afraid of. There hasn’t been any experience for him to build on. What do I do to help him? He’s terrified now. Why Won’t Our Dentist Give My Son a White Filling? I don’t understand why my dentist is willing to give me a white filling but not my son. He said children can’t have them, but I know my niece gets them. They live in a different state so I can’t go to their dentist. What’s up? I don’t mind going to a different dentist for my son. He’s only seen him once because he doesn’t see children until they’re 10. Comments Off on Why Won’t Our Dentist Give My Son a White Filling? Copyright © 2018 Don Swearingen, DDS | Sitemap | Site designed and maintained by TNT Dental.